Since then, Nakadate (above) has ventured into feature-length films. Stay the Same Never Change, which premiered at the Sundance Film Festival in 2009, stars amateur actors and illustrates their lives of sadness and desire in Kansas City. Her second film, The Wolf Knife, chronicling the complicated lives of two 16-year-old girls living in Hollywood, FL, premiered at the 2010 Los Angeles Film Festival and was nominated for a 2010 Gotham Independent Film Award and a 2011 Independent Spirit Award. At times described as provocative, ruthless and even crazy, Nakadate’s work has been exhibited at the Yerba Buena Center for the Arts in San Francisco, The Getty Center in Los Angeles and the Reina Sofia in Madrid, Spain. A 10-year survey of Nakadate’s work opened at MoMA PS1 in January 2011, where thousands of people witnessed the surreal world of Nakadate’s lens. “It changed my life and opened so many doors for making and showing my work,” she said. In a word, how would you define the last 10 years of your life and work? Investigation. In a word, how would you like to describe the next 10 years? Gratitude. Any reflections? Life moves really quickly, and we’re lucky to keep up at all. The best-case scenario is that you can keep your heart open and be willing to fail. Robin Sukhadia. Photo by Neelanjana Banerjee. 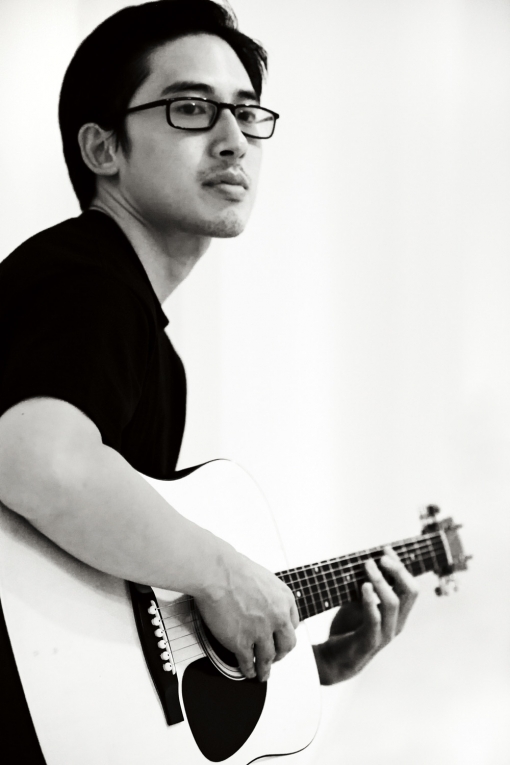 Since winning the first annual Mr. Hyphen in 2006, donning pajamas emblazoned with “Asian American Men Do It Better,” Sukhadia earned a master in fine arts in world music from CalArts in Los Angeles. “The process of working toward the MFA transformed me and set the stage creatively for the past five years of my life,” Sukhadia said. Now, as the current international grants program director of Project Ahimsa, the global youth arts organization he represented in Mr. Hyphen, Sukhadia travels worldwide to oversee grant-making efforts for music education projects throughout India, Sri Lanka, Nepal and Africa. Through the power of music and arts, his career is devoted to creating schools and programs that teach interdisciplinary music and arts education to children in impoverished communities. No need to hop a plane to experience the tangible effects of his work. 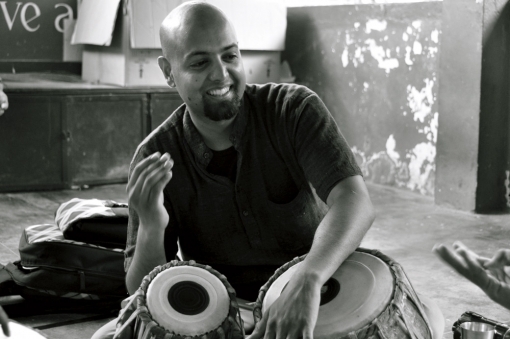 In 2008, Sukhadia released Global Lingo, an album showcasing the musical talents of children he’s worked with across the world. A sophomore album is scheduled for 2012. In a word, how would you define the last 10 years of your life and work? Musical. In a word, how would you like to describe the next 10 years? Magnificent. Any reflections? If you are visiting India, come to Kolkata to see the impact that music is having on healing children with orthopedic disabilities. The Rehabilitation Center for Children is a very special place that provides surgeries and physical therapy for children who cannot walk. It is an amazing experience to witness healing caused by music. Watch a video  of Sukhadia’s digital media literacy workshop teaching HD video recording, sampling and poetry to students in Kathmandu. Denizen Kane. Photo by Pak Han. In the poetic words of Denizen Kane, born Dennis Kim, this is life. As a Korean American poet, MC, musician and activist with roots in Chicago and Oakland, Denizen Kane has rocked the underground music and poetry scene with his soulful croon and MC swagger since the early 2000s. As part of the spoken word quartet I Was Born with Two Tongues, hip-hop collective Typical Cats and as a solo artist with several albums, he is known for his jazzy delivery of heavy topics like politics and death. In February, he debuted his first play of multidisciplinary performance and live music, Tree City Legends, in San Francisco. It is part urban folklore, part traditional Korean stories, part blues song and all Denizen Kane. But these days, he is known simply as Dennis to the kids at Youth Speaks, the leading spoken word organization for youth nationwide, where he is the associate artistic director. How would you define the last 10 years of your life and work? I was cast out of a garden and wandered the Earth with the mark of Cain on my brow. I wrote songs that no one heard and poems that no one read. I bled. How would you like to describe the next 10 years? There’s someplace we’ve got to go — even though we’ve never been there before. Any reflections? We dwell in the city within the city, in a permanent borderland. The thousand shades of brown between polar black and white. There are songs that exist here, unheard, that can help wake a sleeper — but only to the extent that the song is a vessel for the Spirit. The written word was considered dangerous to past generations of Hmong. But for Burlee Vang, it has been a tool of empowerment for the next generations. In Fresno, CA, Vang observed the rich tradition of oral storytelling amongst Hmongs as well as the distinct lack of Hmong American voices in American literature. In 2004, he established the Hmong Americans’ Writer Circle, a group dedicated to nurturing the growing community of Hmong American writers. “It is through groups like ours that people will start hearing the authentic voices of the Hmong themselves,” Vang said in 2009. 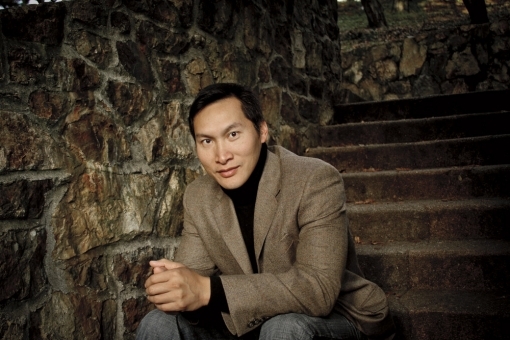 Since then, Vang has published two books, The Dead I Know: Incantation for Rebirth (2010) and How Do I Begin? A Hmong American Literary Anthology (2011). He and his brother Abel won the Academy of Motion Picture Art and Sciences’ Nicholl Fellowship in Screenwriting — the first Southeast Asians to do so in the fellowship’s 27-year history. Their screenplay, The Tiger’s Child, tells the story of two young Hmong brothers surviving the CIA’s “secret war” in Laos. In a word, how would you define the last 10 years of your life and work? Arduous. In a word, how would you like to describe the next 10 years? Thrilling. Any other reflections? I hope that my work as a writer will serve as inspiration for other young and emerging artists. If you want something bad enough, go at it full throttle. Don’t let it be just a hobby. In a ballroom in Detroit last year, Grace Lee Boggs celebrated her 95th birthday. “I may be hard of hearing and unsteady on my feet, but I still have most of my marbles,” Boggs said. Short in stature yet grand in presence, Boggs has been a revolutionary all of her life. 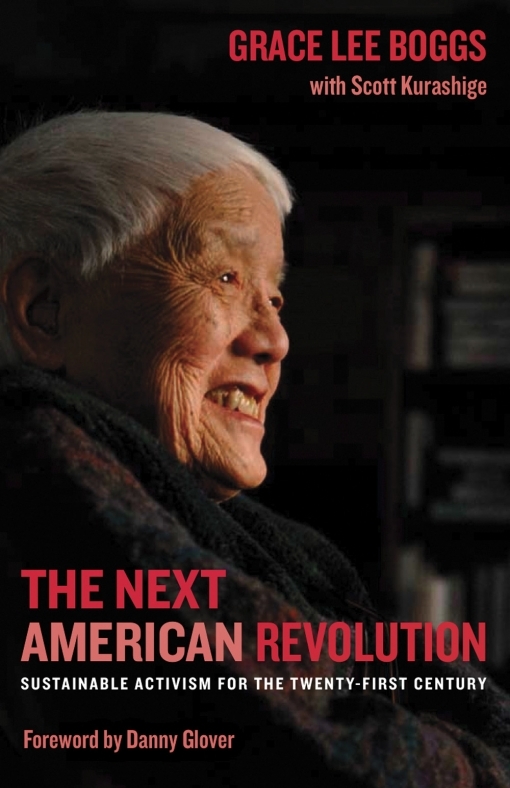 The daughter of Chinese immigrants, Boggs had been a prominent social activist since the 1940s, joining the fight for tenant and worker rights in Chicago and walking in the March on Washington in 1941. Today, she continues her community work in Detroit through the James and Grace Lee Boggs Center to Nurture Community Leadership. “Because of our increasingly jobless society, I have been very much concerned with reimagining work and have organizing meetings and conferences around it,” she said. An accomplished author, Boggs recently published The Next American Revolution, which imagines revolution as a result of empowerment rather than a struggle for political power — a concept illustrative of Boggs’ people- friendly, loving view of social change. Any reflections? We are no longer drifting toward catastrophe. All over the world and especially in the US, people are reimagining what it means to be a human being and how we know reality, evolution, work and education. It is a wonderful time to be alive! Eddy Zheng. Photo by Lisa Lee. 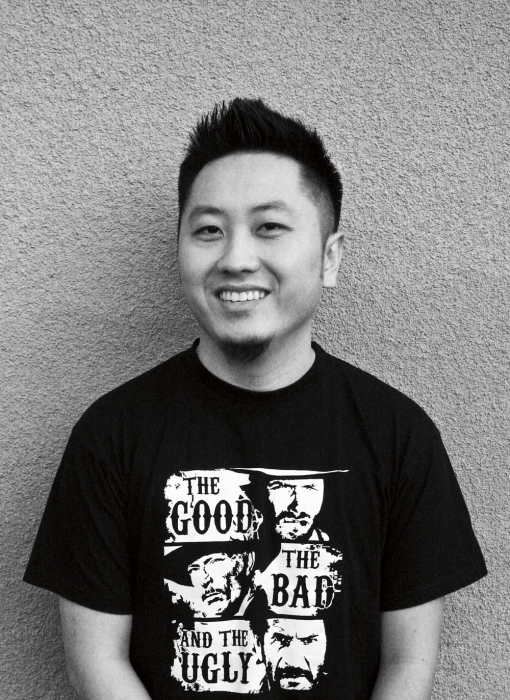 Zheng’s work focuses on addressing the alarming growth of the Asian American prison population. He helps formerly incarcerated API individuals — who face barriers to acceptance, employment, housing and self-sufficiency — transition back into society. Zheng also works to prevent youths from going down the same path that led him to jail, mentoring youth as project manager of San Francisco’s Community Youth Center; spearheading a pilot multicultural leadership program; and working with the Department of Juvenile Justice through Project IMPA CT (Incarcerated Men Putting Away Childish Things). On multiple battlefronts, he continues to fight for his own rights (he is trying to regain legal permanent residency in the US) as well as the rights of an entire community. “All the work that I have done in the community validated and reinforced my passion to continue to serve the children, youth and their families,” he said. In a word, how would you define the last 10 years of your life and work? Transformation. In a word, how would you like to describe the next 10 years? Breathin’. Any other reflections? When I see you, I see me because we all occupy a space on this Earth of humankind. Let’s be more compassionate toward each other and let love fly. Read more about what our favorite artists and activists from issues past are doing today in this online exclusive .